The works of Robert Schumann were among the major attractions of the Zurich Festival, and the focal point was a scenic performance of his 'Szenen aus Goethes Faust' (Scenes from Goethe's Faust) which were staged as a Festival Premiere at the opera house. With this oratorio, Schumann created his most ambitious work as regards its outer as well as its inner dimensions. The fact that it is rarely staged can only be blamed on its extensive cast with eleven soloists and three choirs. The determining factor of the production of the 'Faust Scenes' in Zurich was the theatrical language of the Viennese Actionist Hermann Nitsch who polarised opinion right from the beginning of his career. During his painting performances, Nitsch used to pour paint over large-scale canvases, he doused human bodies with blood in 1963 for the first time, disembowelled animal cadavers, and staged ritualistic spectacles which were felt to be blasphemous and taboo breaking, and were punished correspondingly. The stage which Hermann Nitsch designed for his interpretation of the 'Faust Scenes' in Zurich, was kept spartan and consisted mainly of projected images which were superimposed by colour scales. For this purpose, three Christie Roadster S+16K projectors were used, all of which were operated in back projection with 0.73 wide-angle lenses. One of the projectors was rented especially for this production, and initially it fitted neither in respect of its brightness nor of its colour temperature with the two house-owned machines. Thanks to Christie's LiteLOC (Light Output Control) systems, the rented projector was matched to the other two, and colour temperature was adjusted via the appropriate panels at the device - a process that didn't take more than half an hour, all in all. With the superimposition of colour scales over the stationary and moving images being projected in the stage area, Hermann Nitsch follows an idea that was born as early as the mid '60s, when he poured bright and radiant paint for his performances and, at the same time, integrated pure, almost insubstantial colours in his theatre, by projection. Andreas Zimmermann, Swiss actor and director, who was jointly responsible for the production together with Hermann Nitsch, utilised the scenic vocabulary of the ritualistic actions of Hermann Nitsch's 'Orgien Mysterien Theater'. An issue of special importance for Zimmermann was the integration of a pig being disembowelled, initially planned as a video projection only, live into the performance. The action was realised using an artificial pig as well as artificial blood, both elaborately made up by the theatre's design department. In addition, the evisceration was projected in magnified scale. 10 years ago, Jürgen Hoffmann, director of the lights department at the Zurich opera house, began to introduce video projections to his stage design. Two years ago, the opera house purchased two Christie Roadster S+16K and a Wings Platinum panorama presentation system for a big production of the opera 'Forza'. From the day of their acquisition, the machines were employed for small as well as large stage projects throughout. The staging concept of the 'Faust Scenes' took one year to develop. Martin Gebhardt of the Zurich opera house drew up the concept in close cooperation with director Hermann Nitsch and assistant Frank Gasser, the latter having special responsibility for the video aspect of the production. "The projectors are regularly implemented into our stage design, whether this is as main element like in the 'Faust Scenes', as background projection or as single scenic design elements," Martin Gebhardt explains. Besides the ambitious design and limitation of the high production costs, further details that needed to be integrated in the overall concept were the combination of video and still images, and an effective noise reduction- a vital issue for a music theatre. "We are working closely with the opera and were therefore able to help regarding the noise control," says Robert Eigenmann from Christie partner Visopta. Martin Gebhardt appreciates the good co-operation: "We can always rely on Visopta's knowledge and help." For the purpose of noise reduction, the noise control housings provided by Vicom brought excellent results. With a mere 27 dBA, the machines were inaudible even for the sensitive ears of musicians and singers. Another important fact were the very short setup times, since in a house such as the Zurich opera, the same play never runs for several consecutive days. With the 'Faust Scenes', the Zurich opera as well as Visopta as the technical service provider were glad to be able to work with Christie's Xenon lamp fitted 3-Chip projectors since these machines ensure highest light intensity and at the same time absolute colour fidelity. The three projectors did not only project three large single images but also provided an enormous overlapping panorama image of 3.20 x 11 metres size. This is made possible by the soft-edge blending features of the machines, which makes the individual images overlap by about 20 per cent, yet the viewer only perceives one homogeneous image - right up to the extreme edge. 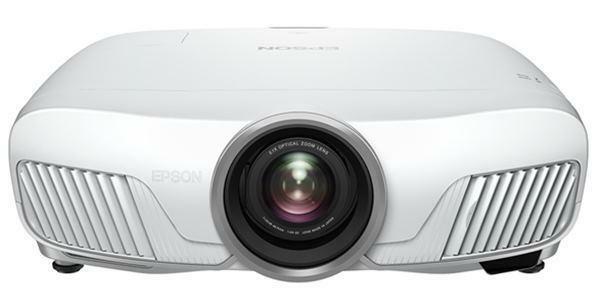 Another advantage of employing Christie's Roadster S+16K projectors is their low power consumption. The machines run on 220 volts and can be operated on the utility line with a fuse protection of 16 amperes each. During the performance, live recordings made by a camera were sometimes fed into two of the Christie projectors, while the rest of the material was previously realised by the production crew. The rather bizarre evisceration of the artificial pig was also shown in the large-scale projection - provocation is part of the show. The whole video production was controlled by the house-owned Wings Platinum system which also supplies two slide projectors with 4000 W Xenon lamps each.